The proponents of visualization generally support their activities along three primary themes: “(1) the quest for personal power; (2) the quest for inner knowledge or spiritual enlightenment; (3) the quest for physical health” (Weldon, 1996, No. 1, p. 24). In an effort to clarify the visualization maze that exists, Weldon (1996, No. 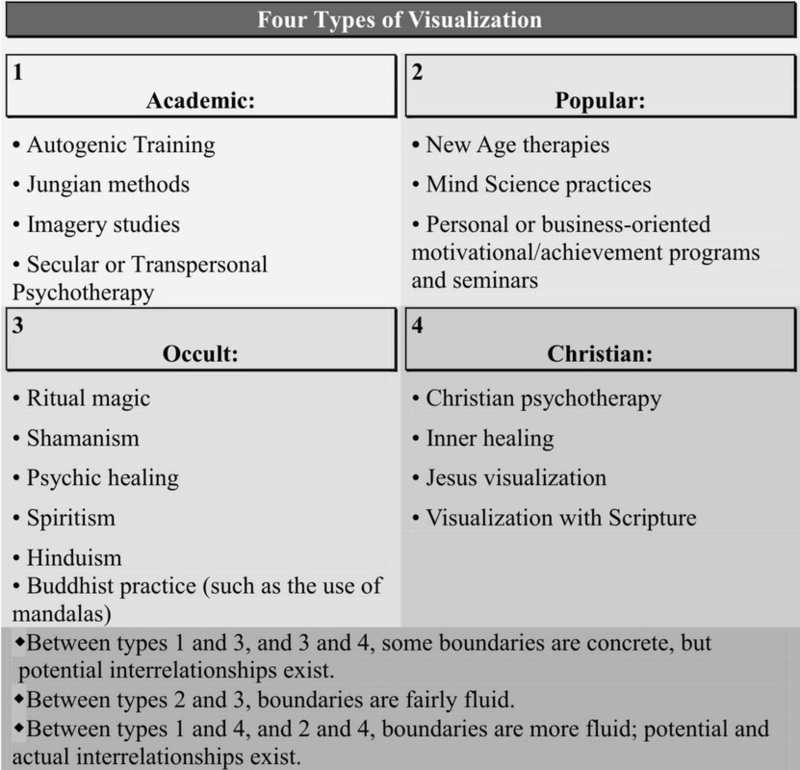 1) has categorized visualization into four types to assist in understanding the basic concepts being dealt with (p. 25). Quite evidently, from the descriptions given above, Covey’s work falls into type 2 as a personal achievement program of seven Habits. It is also worth noting that New Age therapies are also type 2; and, of even greater significance, is the apparent ease of relationships between type 2 (where Covey is) and 4 (where many Christians find themselves).